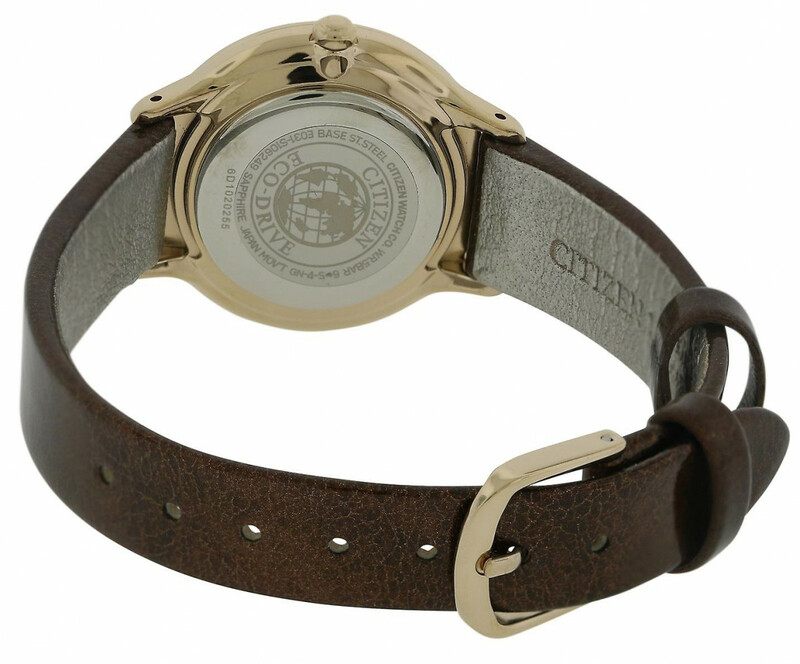 This Citizen women's watch features a mother of pearl dial with rose gold tone hands and index hour markers, fixed rose gold tone stainless steel bezel and a rose gold tone stainless steel case with a brown leather strap. Analog display. Round case shape with a 30 mm case diameter. Scratch resistant sapphire crystal. Pull / push crown. Solid case back. Tang clasp. Functions: Hour, Minute, Second. Water resistance up to 50 meters.